Generally, when we think of diesel engines, we tend to think of the noisy throttle of a pickup truck. However, if you were to take a ride in the 2017 BMW 523d, you’d be pleasantly surprised at how quiet the diesel engine is. So quiet, it practically purrs. According to Forbes, this may be the most perfect diesel vehicle to date. 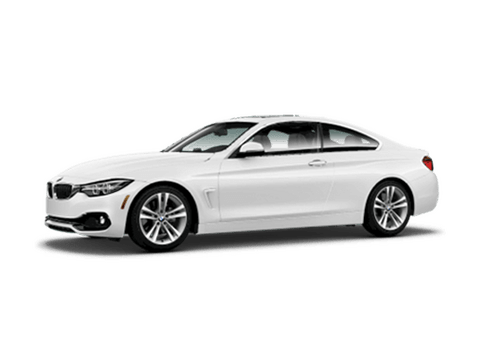 BMW California and Coast BMW, located in San Luis Obispo, are excited to offer the 2017 BMW 5 Series, and in particular, the 523d with a diesel engine. Instead of a loud roar (like a lion), the 2017 BMW 523d’s diesel engine is as quiet as a mouse. This quietude takes some getting used to, coming from a diesel engine. However, it’s a welcome change. The 2.0 liter turbo diesel engine delivers 190 horsepower with an astonishing 400 pounds of torque. Coupled with an eight-speed automatic transmission, it’s a powerful sedan that handles effortlessly. Fuel economy is also one of its perks, estimated at over 45 mpg. The interior of the 523d illustrates why the BMW is considered a luxury vehicle. You’re surrounded by plush leather, and there is a new ‘gesture control’ dashboard display that allows you to simply point your finger to switch radio stations or answer the phone. The exterior is aesthetically pleasing with distinctive and recognizable BMW features. 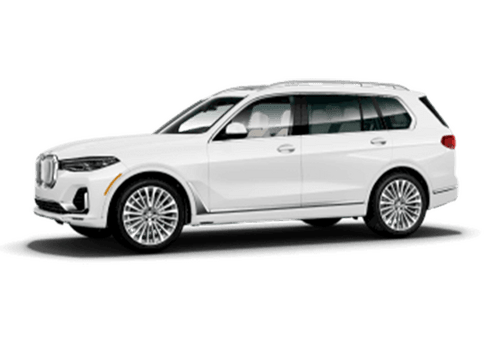 You’ll appreciate the vast array of safety features including speed limit assist, adaptive cruise control, automatic braking, blind corner warning, lane keep and lane change warning. You’ll ride in unparalleled comfort and you wouldn’t expect anything less from BMW. Stop by Coast BMW, your San Luis Obispo car dealer, and ask our friendly Sales team for assistance. 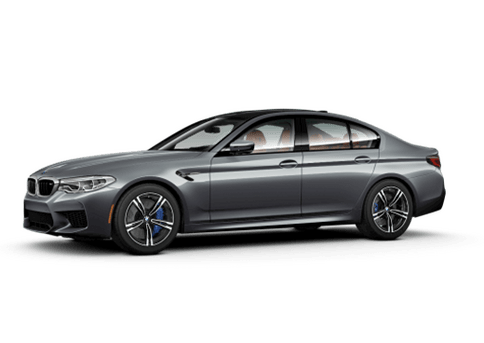 We encourage you to take the 2017 BMW 523d for a test drive. Listen to the diesel engine; you’ll be fooled into thinking it’s a gasoline engine. Enjoy the luxurious ride in BMW’s 5 Series with a diesel engine. Hats off to BMW’s engineering team for the quietest diesel engine on the market! 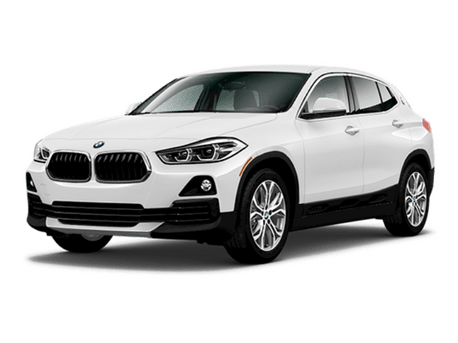 For you and your family’s safety, BMW California and Coast BMW, located in San Luis Obispo, urges all car owners to tread safely and make tire maintenance a top priority. The National Highway Traffic Safety Administration (NHTSA) estimates that there are 11,000 tire-related accidents each year. Preventative maintenance can go a long way towards preventing tire mishaps. The condition of your vehicle’s tire treads are a serious matter that shouldn’t be ignored. That’s because your vehicle’s tires are the point of contact with road surfaces. You want your vehicle’s tires to be in optimum condition to navigate roads that may be wet, slippery or even icy. Some things you can do include checking tire pressure each month, avoid overloading your vehicle and inspect tire treads. Add or release air as necessary, as weather elements can affect tire pressure. Keep your trunk empty except for the bare necessities to lighten the load on your vehicle’s tires. Eyeball your vehicle’s tires to make sure they are not balding or showing signs of excessive wear. Do the penny test and insert it head first into a tire tread; you shouldn’t be able to see Lincoln’s head. If you don’t know how to properly inspect tire treads or you’re not sure, ask our tire expects at Coast BMW. By performing regular maintenance checkups for your vehicle’s tires, you can actually extend their lifespan, improve vehicle handling, save on fuel, and help keep the occupants of your vehicle safe. In fact, a recent Geico article reveals that you can save up to 11 cents per gallon if your vehicle’s tires are in tip-top shape. When your vehicle’s tires need rotating or you need new tires, come to Coast BMW, your local BMW dealer. Our Service department is second to none, and we have highly trained Service technicians that can help you with all your automotive needs. For stellar BMW performance, regularly maintain your vehicle. After all, we all want a safe and long-running vehicle. For a full selection of the latest BMW models, Coast BMW has it all from the BMW 2 Series through the 7 Series and the BMW Z4 sports convertible. Ever wonder where the automotive industry gets their ideas for new vehicle designs? According to Forbes, BMW relies on artificial intelligence (AI) and Big Data to predict technology that will be available in the future for the cars of tomorrow. Coast BMW, located in San Luis Obispo, your local BMW dealer, is proud to offer a full lineup of the latest BMW luxury models. Now that we’re aware that BMW channels information gleaned from AI and Big Data, what exactly does this entail? For starters, Artificial Intelligence or AI, is the notion that mankind can build machines that think like humans. In contrast, Big Data is an advanced computerized compilation of everything that affects the manufacture of automobiles from design, engineering, production, sales and customer support. Combine the two and you have a powerful pool of technological information available to assist BMW in determining the future course of the automotive industry. BMW continues to lead cutting-edge technology in the automotive industry, with an boost from AI and Big Data. Coast BMW invites you to visit us and browse our large inventory of BMW vehicles, both new and preowned. 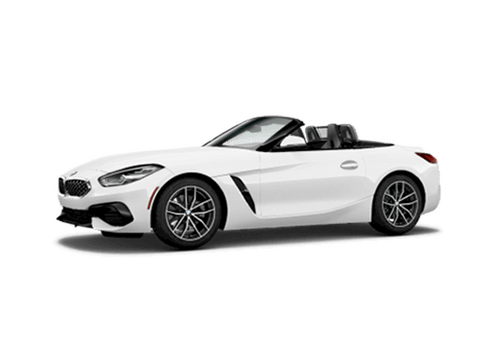 From the 2017 BMW Z4 sports convertible to the 6 Series BMW, we’ve got a car for everyone. Don’t you deserve a BMW? If you’re looking for a fun-filled evening that will benefit Greener Pastures Farm Sanctuary, Coast BMW, your local BMW dealer, suggests you save the date for September 18, 2017. That’s right folks, dust off your cowboy boots and step lively! Don’t miss out on the Barn Dance from 6:00 to 10:00 p.m. at the Oddfellows Hall, located at 520 Dana Street in San Luis Obispo. We know you’ll enjoy the evening’s Barn Dance, Dinner and Silent Auction to benefit the animals at Greener Pastures Farm Sanctuary. Chow down on a yummy meal featuring plant-based foods. That’s code for vegetarian, because we expect some animals to stop in for the event. We wouldn’t want to distress them. After all, the intent is to have a barrel of laughs and support the Greener Pastures Farm Sanctuary. Music will be provided by live band, Mitchell Street, which is sure to get everyone on the floor dancing to the beat. There will be beer and wine sales, and plenty of fundraising opportunities. Whether it be animals with hooves, paws or feathers, all animals deserve a second chance. Tickets are $25 in advance or $200 to reserve a table for 8 and can be purchased from eventbrite. There will also be tickets available at the door for $30. Greener Pastures Farm Sanctuary is a non-profit organization that rescues abused, neglected or unwanted farm animals such as goats, cows, horses, chickens, sheep, pigs, and turkeys. The sanctuary provides a forever home with green, tranquil pastures available to the animals. Another important mission is that the sanctuary invites children to visit and interact with the resident animals. For some children, this may be their only exposure to farm animals. Greener Pastures Farm Sanctuary hopes to instill a kinder, gentler next generation who care about animals. If you’re in the market for your next vehicle, we hope you’ll come to Coast BMW first. 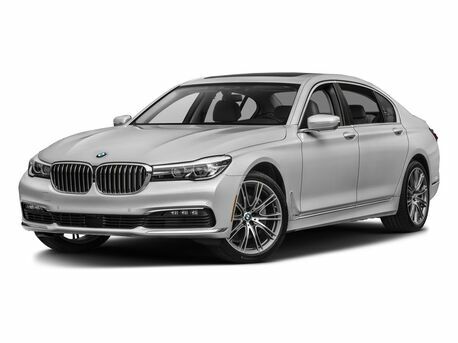 You’re sure to find a great selection of the latest BMW luxury models. Our friendly and knowledgeable Sales team and Finance department are here to assist you. Ask about how easy it is to obtain a BMW car loan. Wouldn’t you love to drive home in a BMW today? Coast BMW can make it happen! The 2017 BMW 5 Series is one of your local BMW dealer, Coast BMW’s, favorite vehicle choices. The reason is simple, it is so hard to go wrong with this car! It is a remarkable car that is beautiful and bold on the exterior and plush and luxurious from the interior. If you aren’t in need of an SUV and aren’t looking for a sports car, we think the 5 Series is a great choice for nearly every buyer! In just 3.9 seconds you will go from 0-60 in the 5 Series. You will achieve near perfect balance with the new and improved chassis that balances the weight distribution flawlessly. The upgraded steering helps give you instant feedback, and makes driving more fun. You can’t go wrong no matter which engine option you go with. You are also able to get AWD if you wish on both the 4 and 6 cylinder options. We understand that you have precious cargo in your car and want to ensure the safety of not only yourself, but all of your passengers. The 2017 BMW 5 Series comes with an array of standard safety gear like traction and stability control, front seat front and side airbags and side curtain airbags. Also standard are some convenience safety equipment like a rearview camera and front and back parking sensors. If that isn’t enough for you, there are several other optional safety features you can add like lane departure warning system, lane keeping assist, blind spot monitoring and semi automated steering. It’s hard not to have complete peace of mind knowing you have some of the most advanced safety equipment loaded in your car. Stop by Coast BMW today to check out and test drive the 2017 BMW 5 Series. We have several to choose from, and know we have exactly what you need. You will be thrilled by the looks and performance of the 5 Series, and we have no doubt you will want to take one home with you. If you are looking for another type of vehicle, we have that too! Our Sales Team can help guide you through the car buying process and find exactly what you have been looking for. You are going to leave here happy and excited to drive again. We can’t wait to be your San Luis Obispo car dealer! This year at the Concours d’Elegance in Pebble Beach, the all new concept Z4 was unveiled. Coast BMW in San Luis Obispo couldn’t be more excited by the new take on the roadster. The Z4 is beautiful from all angles with a decidedly dynamic look and feel. This amazing new roadster is set to hit production in the upcoming year and we for one can’t wait to see it on the road in the future! Many traditional aspects of the roadster were kept in the concept like a long wheelbase, a stretched out silhouette and compact rear end. But there is no doubt that the Z4 is fresh and modern and takes many new and bold design cues from BMW’s newest line. Tight overhangs make it possible for the driver to sit even closer to the center of the roadster. At first glance, you will notice the roadster is a wedge shape which gives the impression of speed even when the roadster is in park. Extreme attention to detail was given in the driving experience of the Z4. Because of this, the interior was designed with the driver in mind. The trim panel, driver’s seat, instrument panel and center console are all finished in black which makes them stand out from the other hues in the interior and exterior of the roadster. With this color combination, the driver gets the sensation that the entire vehicle is wrapped around them which gives off a very sporty feel when driving. While we are all going to have to wait a while longer for the Concept Z4 to become a reality, we have what you are looking for right now! Our huge inventory of new, preowned and certified preowned BMWs are sure to make you excited about driving again. Our Sales Team will help guide you through our showroom, pointing out the vehicles that seem to suit what you are looking for. After you have found your new Ultimate Driving Machine, our Finance Team will ensure you take it home today with the help of a BMW car loan. We also have a full Service Department that will help you keeping your new ride looking and driving like new. We can’t wait to become your San Luis Obispo car dealer! Emergencies happen when you least expect them, and they can happen to anyone at anytime. Here at Coast BMW, your local BMW dealer in San Luis Obispo, we think it’s best to stay prepared for an emergency roadside situation. One of the best ways to be prepared for a roadside emergency is to keep a variety of tools and gear that will help you out in an unforeseen circumstance. Here is a list of the things we find most useful. Here at Coast BMW, we know that emergencies can happen to anyone – even the most prepared. However, there is a way to help avoid an emergency. Regular vehicle servicing with Coast BMWs Service Department is a wonderful way to prevent roadside emergencies. Be sure to have your oil changed, tires checked and rotated and all of your fluids checked on a regular basis. If you are in the market for a more reliable vehicle, our Sales Team is here to help you find what you are looking for. We have a large selection of new, preowned and certified preowned BMWs, including the 6 Series BMW. We know that emergencies happen, and we are here when you need us! Over here at Coast BMW, your local BMW dealer in SLO, we have a bit of a love affair going…with doughnuts! We simply cannot seem to get enough. If you haven’t been paying any attention – in the last couple years, upscale doughnuts have become all the craze. Their shot to fame is likely from more shops being creative and inventive with their toppings, that and the fact that upscale coffee is so very appealing as well. We are lucky to have a few delicious local doughnut shops right here in San Luis Obispo! This doughnut shop is truly one of a kind. They have a vast assortment of classic flavors like chocolate cake and glazed, as well as fun flavors like Lucky Charms and mint chocolate chip on a devil’s food cake doughnut. It’s not all about the doughnuts at this shop; you can also enjoy croissants, cinnamon rolls and cream puffs. This local treasure is open 24 hours a day! So don’t be shy, go ahead and stop in anytime – literally. These amazing doughnuts live up to the extra “h” in their name. They are decidedly more traditional than many of the new doughnut shops hitting the streets, but no less delicious! You can find your favorites like maple bars, glazed, cake with sprinkles and bear claws. You can also enjoy a delicious breakfast sandwich and great coffee at this local joint. Another awesome option to get your donut fix is Sunshine Donuts. They carry your more traditional flavors that pack a tasty punch. These donuts seem to melt in your mouth, and are always fresh. You will love the fact that they are open 24 hours a day, so no matter when your craving hits – you can score some delicious treats. You may need a nap after eating all the delicious doughnuts SLO has to offer, but don’t forget to stop by Coast BMW’s showroom! 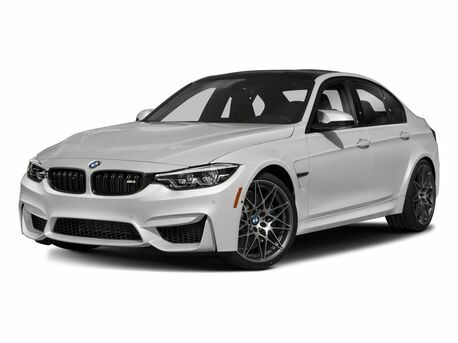 We have a large selection of new, preowned and certified preowned BMWs including the 2017 6 Series BMW. Our Sales Team will help you find the right Ultimate Driving Machine for you and our Finance Team will ensure you drive it home today. We can’t wait to see you in here soon! Have you been looking for the perfect vehicle, but haven’t found it yet? Coast BMW in San Luis Obispo has found what you are looking for, the 2017 BMW X6 is one of the most unique vehicles on the road with some amazing advantages. 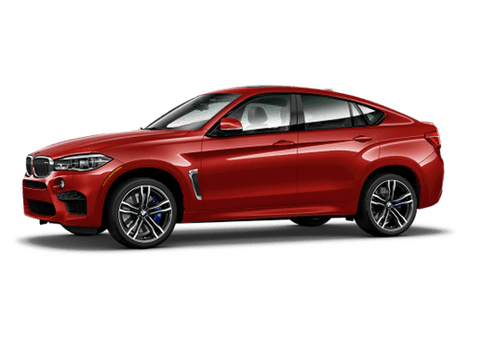 The X6 blends the sleek styling and nimble handling of a coupe and sits you up higher like a traditional SUV. What you are left with is a beautiful combination of looks and performance that is hard not to love. With two different engine options there is enough power behind the hood to impress the biggest thrill seeker of all. The sDrive35i model boasts a 6 cylinder, 3.0 turbo charged TwinPower engine with 300 horsepower and can go from 0-60 MPH in just 6 seconds. If you are someone who needs even more power, BMW delivered with the xDrive50i model. This insanely aggressive vehicle offers a 8 cylinder 4.4 liter TwinPower Turbo engine that has 445 horsepower and can go from 0-60 MPH in 4.6 seconds. On both models you are able to opt for self leveling air suspension which adjusts your rear axle to ensure an optimum driving experience every time. There are several different ways to customize your X6, making it both stylish and unique. The standard Dynamic Digital Instrument Cluster comes with color changing themes which signify what mode you are driving in whether it be Comfort, Eco Pro or Sport. There are 9 different color combinations which give a beautiful ambiance to the entire interior. The luxurious cabin is uniquely refined on its own. There are optional 20-way contour seats outfitted in supple Nappa Leather designed for a king or queen. You are also able to choose from a selection of contrasting leather and stitch options. Cruise on over to SLO’s local BMW dealer, Coast BMW to find your next Ultimate Driving Machine. Our impressive inventory of new, preowned and certified preowned BMWs can be found on our website. Our knowledgeable Sales Team can help you find the perfect vehicle to fit your lifestyle. Once you have narrowed your search, our Finance Team can help make your dream a reality with a BMW car loan. We are looking forward to seeing you cruise the streets in your next BMW! At Coast BMW in San Luis Obispo, we think every driver out there should be able to enjoy the road they are on and embrace even the most mundane drives. Whether you are headed to work in the morning or are on an epic drive down the California coast, you should be loving it. We think what better way to accomplish that then to get a brand new 2017 BMW 2 Series Convertible. Go ahead, let your hair down and smile – even on your way to the grocery store. We know how quickly the weather might change, and how you want the peace of mind to be able to quickly get the convertible top open and closed. The 2 Series Convertible boasts a top that you can retract at speeds up to 30 MPH and in just 22 seconds. If you choose the comfort access you can even retract the sunroof from your key fob long before you approach your car. Aside from all that practicality, you can be sure that you are riding in style. You are able to choose from black, moonlight black and brown interiors to ensure a perfect match to your car’s paint. All of the 2 Series are loaded with the iDrive 5.0 infotainment system to keep you connected while on the road. You will love the optional navigation system to get you where you are going without having to look at a separate device. Drive confidently knowing that your maps are automatically updated several times throughout the year. If you plan to conduct any business from your 2 Series, you can add an optional WiFi hotspot and wireless charging station for your phone. We can’t wait to see you over at Coast BMW in SLO! Our premiere Sales Team will help guide you through the car buying process and ensure you find the perfect fit for your lifestyle. No matter if you are looking for a 2 Series Convertible or a 6 Series BMW, we have it at Coast BMW. Ensure you keep your new ride looking and driving like the day you got it with our amazing Service Department. We want to be your San Luis Obispo car dealer!